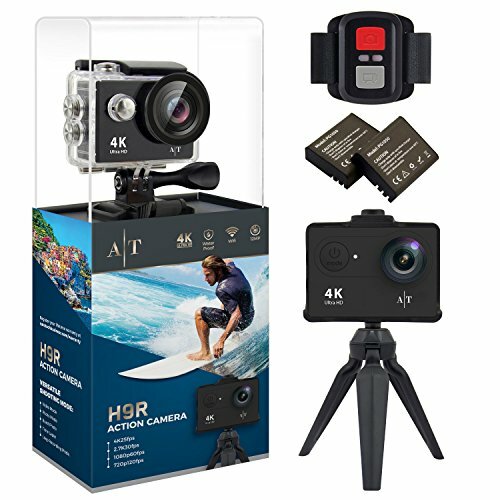 ★ HD RESOLUTION – 4K Action Camera Beautiful Video Resolution: 4K/25fps 2.7K/30fps 1080p/60fps 720p/120fps. Our Camera Shoots Pictures at 12MP Maximum. 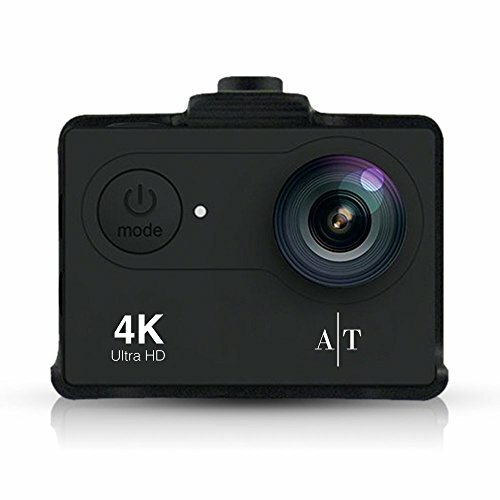 Versatile Shooting Modes Include Video Mode, Photo Mode, Burst Photo, Time Lapse, and Loop Recording Mode. 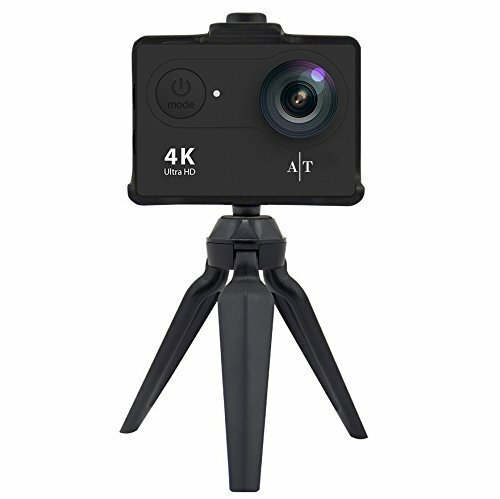 Our H9S 4K Camcorder Enables Anybody to Self-Capture Immersive and Engaging Footage of Them Enjoying Their Favorite Activities. 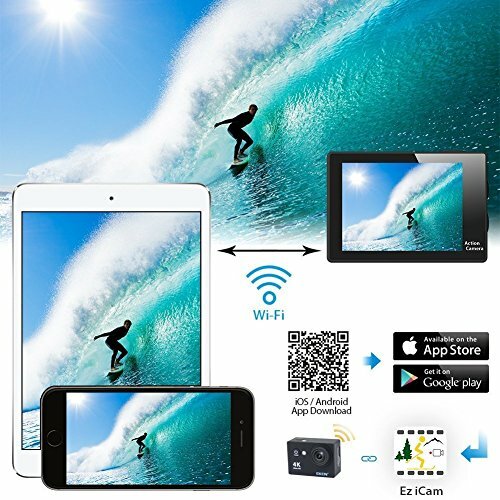 ★ BUILT IN WIFI & HDMI CAPABILITY – Enjoy the Ability to Edit and Share Your Action Cameras Footage As Soon As It’s Recorded, With the App EZ iCam. WiFi Signal Ranges Up To 33 feet. HDMI Output Is Supported, Which Means you can Preview Videos or See Real-Time Display on the TV with a HDMI Cable. ★ COMPLETELY WATERPROOF – Our Waterproof Housing Will Hold Up All the Way Until You’re 100 Feet Below Water. 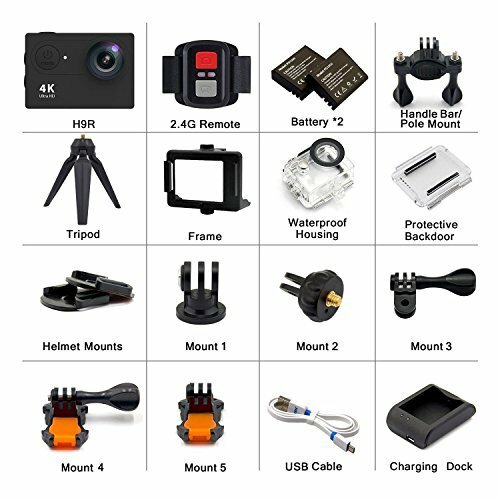 The Waterproof Case of our Action Camera is Designed to Withstand Extreme Environments and Conditions. This Helmet Camera is Wearable and Mountable: Enables Immersive Capture During Your Favorite Activities Including Surfing, Diving, Snorkeling, Biking, and Driving. 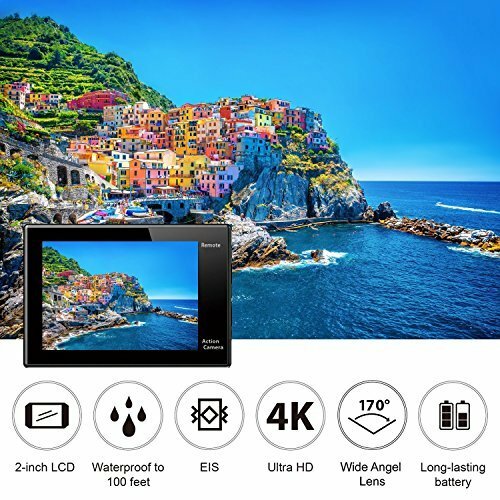 ★ 2 INCH LCD Display – High Quality Display for Video or Photo Playback. Get the Full Spectrum of the Features With Easy Setting Adjustments. 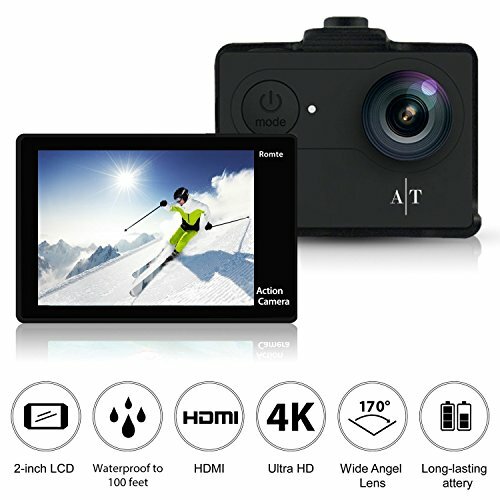 You Can Do It All on Your 4K Waterproof Action Camera. 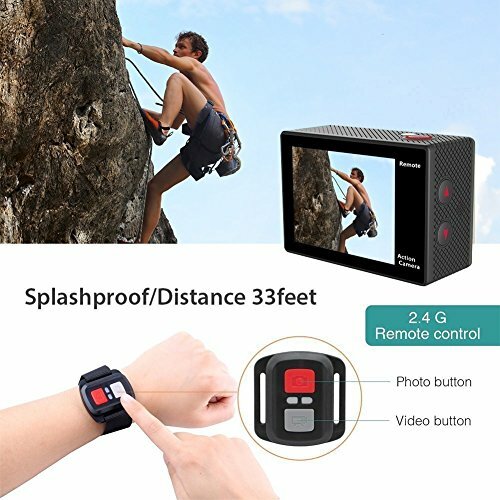 Use the 2.4G Bluetooth Wrist Remote to Shift the Functions Between Video, Photo, Burst Photo, and Time Lapse Instantly. Long-lasting Batteries: 2 hours of video shooting with 2 batteries. See Photo For Full Accessory List. ★ LIFETIME WARRANTY – All of Auto Techs Products are Made of The Highest Quality and Made To Last. That’s Why We Stand Fully Behind our Lifetime Warranty. Customer Satisfaction is Our Number One Goal Here at Auto Tech.